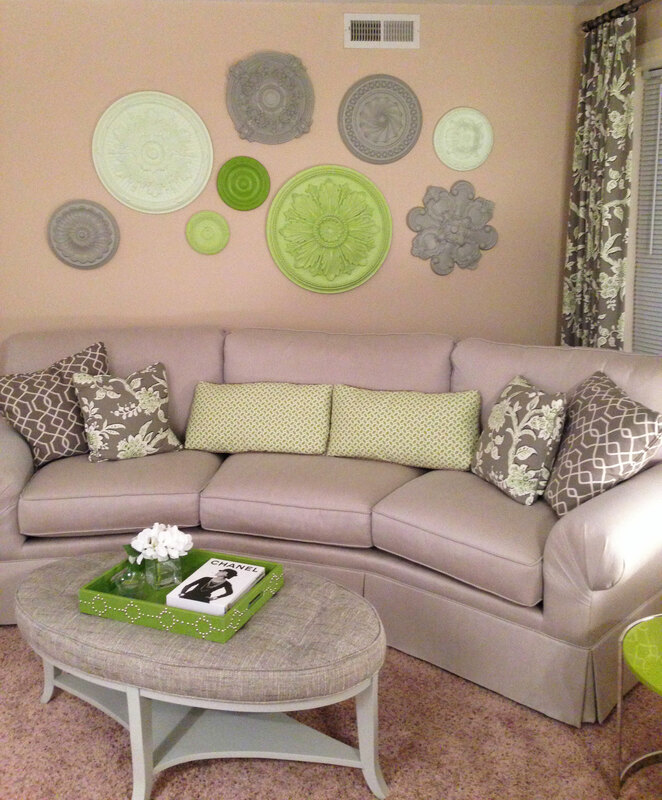 Looking for something different to decorate your living room? Our medallions come primed and ready for paint, giving you the freedom to decorate them as you like! 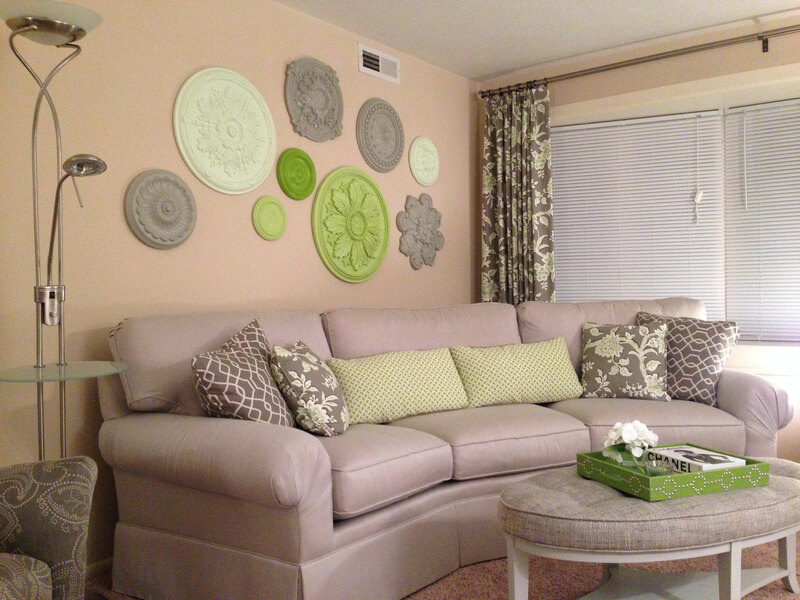 Put them up on a blank wall to add something unique to the room; check out the pictures sent in by Beth from Ohio!